Cape May Warbler flight call from Rye, NY on 9/10/10. Flight calls. Exceedingly short, often similar-sounding, most easily heard in the wee hours of the night–and present in substantial numbers during only a handful of nights per year. Sure, the idea is interesting: the ability to “tune in” to birds migrating overhead at night by listening to the calls they utter. But there is a notoriously steep learning curve for anyone who dares to delve further. 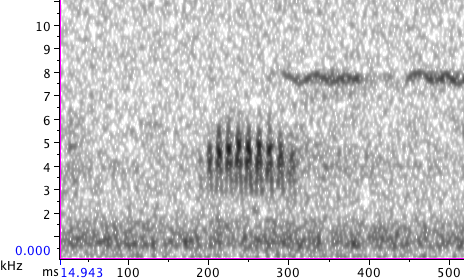 No wonder many birders shy away from these vexing vocalizations that last–at most–two-tenths of a second. So why bother? There are more reasons than one might think. Often we settle for the results–the aftermath–of a good migration night. Perhaps our local birding spot has some new arrivals, or a rarity is reported nearby. But rarely do we have the opportunity to experience thousands of birds pouring overhead, many of which may end up hundreds of miles away by daybreak. Sometimes, well-placed floodlights on skyscrapers can help. But in most other cases, flight calls can provide this window onto migration–both recreationally, and as a powerful tool to learn more about the species that do call. One of my favorite aspects of listening to flight calls is the ability to hear species that are normally cryptic or hard to find. 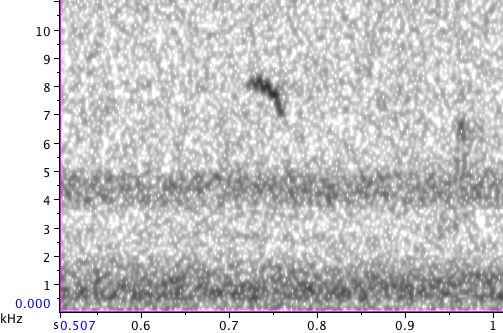 Catharus thrushes are great examples of this; whereas a lucky observer at a migration hotspot might find only a handful of thrushes during a good morning, call counts in the hundreds during good migration nights are not uncommon. 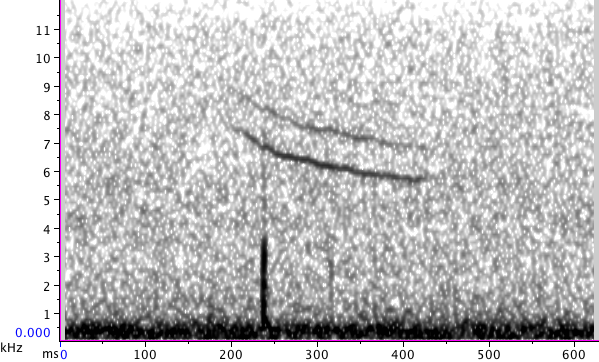 It’s conceivable (though unlikely) that six North American thrush species could all be heard along the Atlantic coast on the right night in mid-September! Swainson's Thrush flight call from Katonah, NY on 9/11/10. Audio: Swainson’s Thrush flight call from Katonah, NY. Veery flight call. Rye, NY on 9/10/10. Audio: Veery flight call from Rye, NY on 9/10/10. Routinely recording flight calls, in addition to allowing one to hear calling events at a convenient time, can provide important data about migrants that do call–from the migration timing of certain species to changes in relative abundance over many years. Acoustic monitoring can also shed light on which species use different areas for migratory stopovers during the day. Three "whip-poor-will" calls. 8/26/10 in Rye, NY. 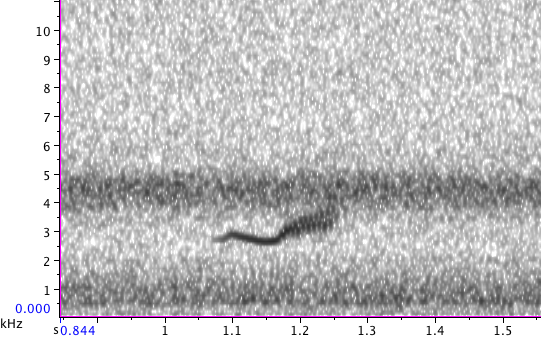 This bird was not flying over the microphone, but if we had not been recording, we would not have known it had chosen Rye as a place to stay--this was recorded before 6 AM! Audio: Whip-poor-will in Rye, NY. Dickcissel flight call from October '10 in Rye, NY. Recorded flying over the microphone in the early morning hours (in daylight). 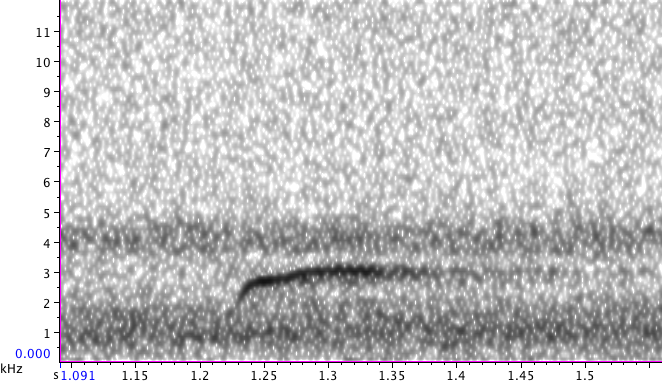 Audio: Dickcissel flight call (calls 3 times in recording). Plus, there’s always the chance that interesting flight calls might be detected. Le Conte’s Sparrow is an interesting species–as a grassland bird, it tends to hide in inaccessible areas. Through January 2011, only twelve records of this species in New York State had been accepted. But it has a fairly distinctive flight call: long, high-pitched and descending. 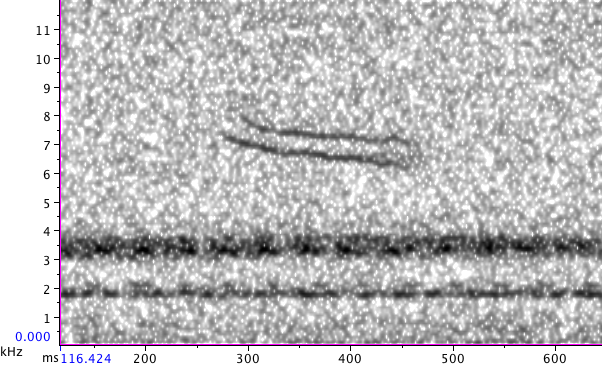 And interestingly, in the very limited time I’ve been looking through recorded flight calls, I’ve stumbled upon two presumed Le Conte’s Sparrow calls–one from Danby, NY in October 2009, and one from Rye, NY in October 2010. Is this just coincidence, or is Le Conte’s Sparrow a more common migrant through New York than previously thought? Only time–and more acoustic monitoring–will tell! Presumed Le Conte's Sparrow flight call. 10/17/09 in Danby, NY. Probable Le Conte's Sparrow flight call. 10/25/10 in Rye, NY. Audio: Le Conte’s Sparrow flight call from Rye, NY. So when is the best time to hear flight calls? Peak migration is usually the best–in the northeast, that’s September in the fall and May in the spring. Of course, birds need to be migrating (northerly winds in the fall, southerly in the spring). And interestingly, although we know from Doppler radar studies that the amount of migrating birds in the atmosphere peaks 2-3 hours after sunset, flight calls peak much later in the night, in the hours before dawn. Why this is–birds forming flocks in anticipation of the day, perhaps–has yet to be determined. But it does mean that you might be better off getting up early, rather than going to bed late, to listen. 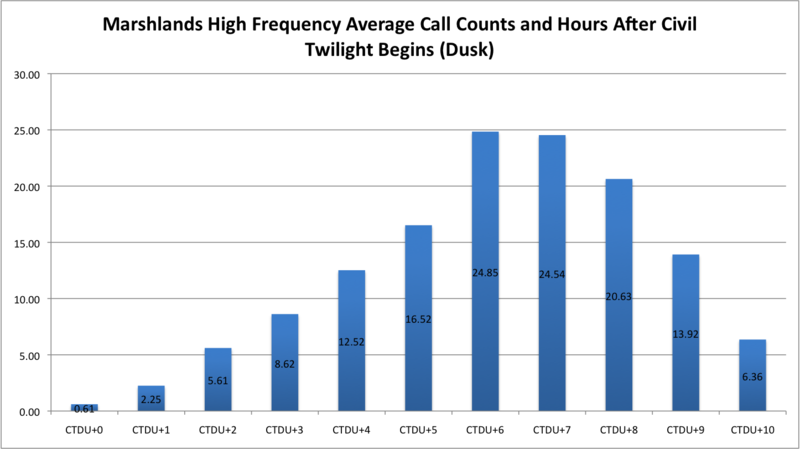 The vast majority of flight calls recorded in Rye, NY this past fall occurred in the later hours of the night. If this has piqued your interest, I encourage you to try listening for flight calls this spring. Purchasing Bill Evans and Michael O’Brien’s flight call guide CD is also a good idea. But it’s really not that hard–don’t feel you have to identify anything–just pick a quiet spot with lots of sky (hills appear better than valleys, and coast better than inland), and listen! Outstanding! Absolutely stunning account of bird calls in flight that you captured. What a gift you have and great audiophile you are like myself. Marvelous capture of the Le Conte’s Sparrow. Thank you for sharing your passion. I can’t wait to read & hear part 2.
on February 25, 2011 at 2:31 pm | Reply Why Bother with Flight Calls? Forget about nelson’s sparrows, we have to find a LeConte’s at Marshlands this fall, now that you have evidence that they have been near there :-). I’ve been interested in learning flight calls, and now I know how to get started. Thanks!